Fine-line Acoma seed pot! 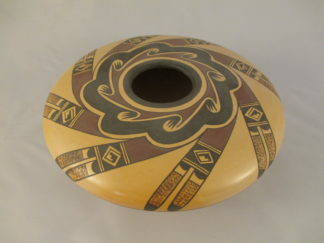 Intricately detailed seed pot by Award-Winning Acoma Pueblo Pottery artist, Amanda Lucario. VERY precise painted designs, with just the right amount of natural orange accents.